Looking for a new or used Ford 150 truck? Check out our small town personal service with our big city selection in Guthrie, Oklahoma. We are a quick 10 minute drive north of Edmond, OK and 30 minutes away from downtown Oklahoma City. 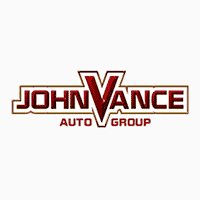 When you are looking for the perfect Oklahoma pickup, why not come to Ford 150 land at Vance Country Ford where we’ve been serving satisfied customers for thirty years. We have an amazing line of inventory of brand new Ford 150 trucks at Vance Country Ford in Guthrie. Check out our huge selection of preowned Ford 150 trucks here in Guthrie—along with our other locations. We believe in our Ford 150 trucks so much that we offer our Lifetime Powertrain Protection. That alone is worth the short drive north on I-35 from Edmond or Oklahoma City! Whether you want a Ford 150 to haul horses, oil field equipment, your family, a boat or to go four-wheeling, we can set you up with the truck of your dreams. Oklahoma is known for its pickups and we are known for helping you get behind the driver’s seat of the truck of your choice. Ford 150 has a five-star safety rating and pulling capacity. They work hard and play hard—just like you. Let us help you find what you are looking for: 2 or 4 wheel drive; regular or Super Crew cab; diesel or gas; our wide array of custom features. Ford 150 trucks will surprise you with their fuel efficiency and heavy tow features. Whether you are searching for a new or used Ford 150, we want you to be happy with your final choice. We are here to serve you just like we have been serving central Oklahoma for over thirty years. Check out our inventory of Ford 150 new and used trucks on our website. Call us. Come by and see our selection for yourself. Read about our Lifetime Powertrain Protection Plan. We pride ourselves on our highly rated customer service and friendly (not pushy) employees. Discover for yourself why it’s worth the short drive to Vance Country Ford.